Steven van Houttum is an independent consultant and trainer specialized in Microsoft Unified Communications. He is a Microsoft Certified Trainer (MCT), Certified Information Systems Security Professional (CISSP), and has been awarded Microsoft Most Valuable Professional (MVP) from 2006-2010 for Exchange and since 2011 for Lync (now Office Server and Services). 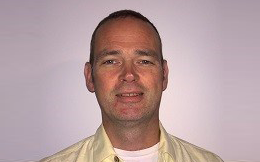 He is a frequent speaker on Exchange Server and Skype for Business Server, at Microsoft events and for the Dutch Unified Communications User Group (ucug.nl) events.